Every year I try to plan allotted time for reflection and evaluation. Something powerful happens when we take time to dwell with our joys, regrets, and accomplishments - only then look forward to days, weeks, and years to come. I’ve always been one to cherish this simple exercise. As an Enneagram Type 3 who is always pushing forward, driving performance, and trying to be the best I can be, this fits in my wheelhouse pretty well. Yet, this year, I almost avoided giving myself the space to look back. Why? Well, simply put, I knew that for the first time in my life I didn’t have many clear answers. A little over six months ago my family and I left the traditional church paradigm to start a new church/faith community in the Boston area. It was a pretty dramatic life change. I’d worked in the megachurch world for nearly a decade and excelled there. I’ve had the opportunity to preach in front of thousands of people on an ongoing basis, lead large-budget ministry programs, and help launch new church campuses. In other words, in the eyes of those in professional ministry, I had a sweet gig. I also had some potential offers to be the lead minister at other megachurches. Yet, for a myriad of reasons we felt led to not pursue those opportunities, to leave a church we loved, and move to a place where we literally knew no one (except our team). If all of those things weren’t difficult enough, our team decided to start this new work in an unorthodox way. Well, maybe not unorthodox, but definitely on the less traveled path of being church planting missionaries. The less “churchy” way of saying that is — instead of spending our time looking for worship venues, planning gatherings, and putting together a launch team to help us facilitate new programs, we simply moved into our new community trying to immerse ourselves in the daily rhythms of life. Our goal is to major in relationships and let those we encounter drive our future practices. In fact, we ask ourselves on a weekly basis in reflection — “What is good news for the people in our city?” and, “What does a church look like as an agent of this good news?” Due to living in such a vastly unchurched area, the answers don’t always lead us in the places I’m familiar with, including exploring social entrepreneurship and even different ways to organize as a church. Now, I tell you this not to make a jab at those doing it differently than us (in fact, I’m so thankful for where I’ve done ministry and the many other planters I meet going about things with more popular methods). Instead, I tell you this to make space for this admission: it has been an awkward transition. Needless to say, I’ve floundered and fumbled my way through this process. While I have a deep conviction about the “why” behind what we’re doing, it hasn’t stopped me from feeling like a foreigner in a totally strange land of ministry. Yes, awkward and sometimes frustrating. Yet, when I finally stopped myself this last week to assess this season, I saw that more had happened that I even realized. There were things that won’t show up on any scorecard or be part of any metrics, but God has been doing something real in this uncomfortable ministry shift. Easily the most difficult but rewarding part of this transition has been setting a new normal pace in my life. Like most in ministry, my life has often operated at a frenetic pace, running from person to person and thing to thing. Our culture celebrates high-speed lifestyles and subsequently sees exhaustion as a badge of honor. Ministry is no different. More importantly, how can we be ambassadors of God’s kingdom when our lives are full of the same level of busyness, tiredness, and stresses as everyone else? What makes us distinct or unique if that’s the case? As my friend and Forge coach Ryan Hairston recently said, “Our methods should match the message we’re declaring.” He’s onto something. Jesus stated, “Come to me, all you who are weary and burdened, and I will give you rest.” What if we lived that out? What if ministry involved being practitioners in slowing down and finding rest? What if more Christians (and ministers for that matter) looked like Mary in Luke 10 and not Martha? What if Christians were the most rested, most unhurried people in our society? I’m living with those questions every day. And while I won’t begin to act as if I’ve mastered a new pace, I’m beginning to practice a ministry slow down. The result? I’m praying more. I’m lingering more. I’m listening more. I’m Sabbathing more. Best of all — the new pace has helped me detach my self-worth and identity from the ministry work I do. So while I can’t point to tons of tangible evidence for what such a shift has accomplished, I know what I feel in my soul. I know the new awareness I have of God’s presence in me and others. I don’t plan on going back. The newfound pace has led me to another shift in ministry — presence. As I hinted at above, slowing down actually creates the space for an awareness of God’s activity. I’ve come to see this not as margin in my life away from ministry, but instead the holistic foundation for ministry. When I slow down and see God’s presence and working in my life, the lives of others, and in my neighborhood, I actually know where I should be present. I think hearing God works very similarly. Ironically, the Bible is over 60% poetry, so there are plenty of parallels to how we listen to God in our everyday lives. That is, that He is telling a cosmic, universal story. That story requires a slowdown, one in which we are invited into seeing where and how that story is unfolding all around us. As we do, His Spirit draws us into participating in a reality we hadn’t bothered noticing before. Now, as I’m learning all the time, where and to what He is pulling me into looks a lot different than what I expect. It is seemingly mundane. It often involves people I’m uncomfortable around and in serving in ways that rarely look glamorous. Yet, the story I see unfolding in these places is so wonderful that I can’t help but want to set aside the clean lines of ministry in which I was present before. Pace and presence lead to praxis. The first two things I’ve described lay the groundwork for real participation. In fact, the very definition of praxis is “practice over theory.” Unfortunately, the latter is where most of us live our spiritual lives. The pace we operate in our lives leaves zero room for implementation, and even if it did, we’re so distracted we aren’t quite sure where God is moving or where to partner with Him anyway. I would know! Yet, when we finally slow down and find where He’s moving and working, we discover it is much simpler to put our faith into practice. In The Divine Conspiracy, Dallas Willard actually says something similar. That we must see the “circumstances we constantly find ourselves in as the place of God’s kingdom and blessing.” He goes on to say more explicitly, “God has yet to bless anyone except where they actually are.” Formation starts in partnering with God in the everyday. Without overtly churchy or religious activity dominating my schedule these days, which often masks my major weaknesses in following the way of Jesus, I’ve had to discover the meaningfulness of the prosaic in the day-to-day. In fact, from my daily walks, to the interactions with neighbors, to the conversations with my wife, to laughs with my daughter, to serving the marginalized, to connections at the local coffee house, to tears over dinner with friends, I cherish seeing God work in the smallest of ways. Because of this, I have a new liturgy of my everyday life where I’ve restructured my life to see the sacred in the routine of the ordinary. There’s no more theory in this, but instead a pursuit of faith in the grittiness of the unremarkable. The hesitancy to look back was real. Have I accomplished enough this year? What will our supporters and funders think? What do I have to show for the time here? Yet, what I found was that God’s best work this year was in me. I was stripped of the things that operated as a veneer and stumbled my way into the kind of spiritual formation and followership of Jesus that should have been there all along. In short, I went from the stage to the street, from being a pastor to being a person. Through the awkwardness of it all, I started to find the kind of life I want to invite others in to. There’s no metric attached to that, but I cannot fathom anything more prolific. 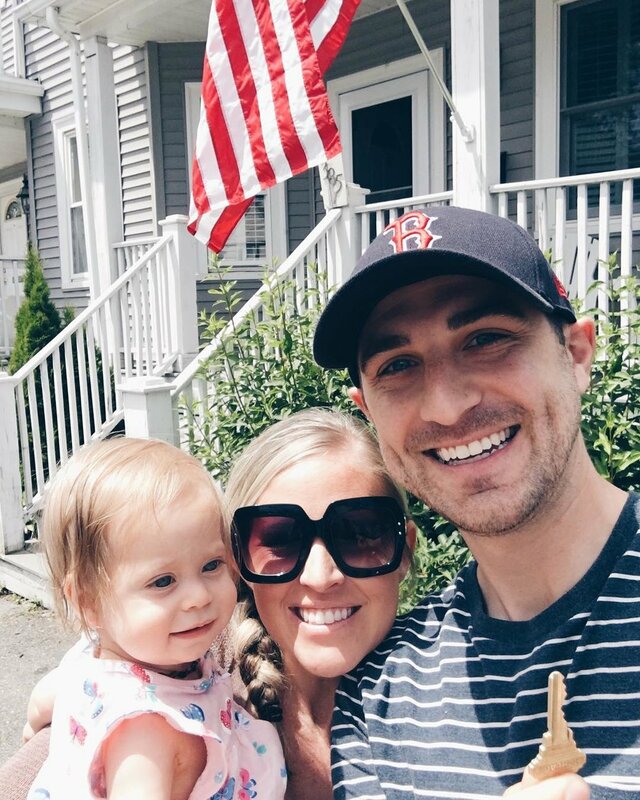 Drew Thurman and his wife Breanna are church planters in Boston, MA. Over the last several months he and his wife alongside their team have partnered with Forge America to receive coaching and training.